Did you know that when it comes to wealth, we all have a unique 'code' embedded deep in our DNA?  It's known as your Sacred Wealth Code - and understanding yours is the key to overcoming your personal barriers and stepping up to a life of prosperity and purpose. 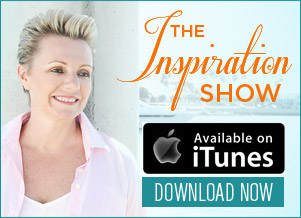 On this week’s episode of The Inspiration Show, you’ll discover 3 vital truths about your personal wealth and why you may not be earning and receiving what you deserve (even if you're hustling and trying your best). NL: Hi everyone! My name is Natalie Ledwell and this is the Inspiration Show. Today on the show we have a special guest that’s going to be talking about your sacred wealth code. She has a new book that actually hit number one in several categories in Amazon. It’s an amazing new book. It’ll help to show whether you are on point, whether you could be following your passion right now, but not quite making the money that you want to, or not fulfilling the monetary goals that you set for yourself. So we’re going to uncover some of that information today. 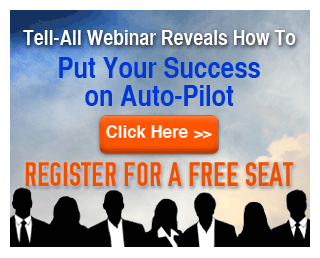 But before I introduce my special guest, I just want to remind you that if you are watching this show on Facebook live or later on our YouTube channel, don’t forget that when the show is over click the link below this video to take my 30 second quiz so I can figure out what is holding you back from success. Ok, so my special guest today is Prema Lee Gurreri. How are you, Prema? PG: I am fabulous. Thanks for having me, Natalie. NL: Great! Now we are going to be talking about your book today, “Your Sacred Wealth Code”. Now the tagline to this is “Unlock Your Soul Blueprint for Prosperity and Purpose”, which I kind of like because I think that sometimes we have this thing that says if we’re following a spiritual path, or if we’re fulfilling our purpose or a passion, we can’t necessarily make the amount of wealth that we want out of that as well. But that’s not the case, right? PG: I don’t believe that’s the case at all. In fact, you’re actually on purpose and we stick with it and we clear whatever’s in the way to keep us from being on purpose and on our path, then prosperity has no choice but to follow us. NL: That’s right; I agree. I mean, I’m doing something that absolutely blows my hair back, as you can see. I’ve been able to generate more wealth than I’ve done in my entire life, and I really feel like I’m coming from a place of service. But before we get into the crux of our interview today, why don’t we start a little bit with your background and your story. What led you to writing this book? PG: Yeah, thank you. So I have been on a spiritual journey my whole life, as I look back now. When this body of work kind of “downloaded” for me, it came at a time that I was in what I would call the “dark night of my soul”. And, I just want to just highlight that for a moment, if any of you out there are feeling that you are- You’re on your knees, or you’re in that dark night of your soul, you’re not sure which way to go- just be willing to... There’s so much in there. It’s such a fertile time if you actually stay with it and break through it and don’t just let it break you down. So, I had a yoga center, a Healing Arts center, for several years and it was a six-figure plus business. I wasn’t taking a lot of that home, unfortunately, because I wasn’t completely lined up with my wealth code, but I was on purpose. I was teaching. I’m a Vedic astrologer. I was doing my Vedic Astrology work. I had a teacher-training program. I had built a beautiful community, but something was not quite on. Now, I was working a lot. I was also raising four kids; my marriage fell apart during that time and, we have a short show today so I don’t mean just l zip all the way through my life there at high speed, but I’m going stop at the juicy part here, okay. There came a point where I was just I was trying everything in my manifestation principles, in my Vedic Astrology, in living in integrity- why wasn’t this completely working? I had created something beautiful, people loved it and the work was obviously touching people, but I wasn’t completely in alignment. I was trying to do too much of the business myself. I wasn’t accepting help and, in fact, I was on the shadow side of past of what I later discovered was my wealth code. There was a couple of shadows really at play, but the big one was that I had to do it all myself- that it wasn’t okay to ask for help. Being a kid who lived on her own really young and was very independent... I just really later figured out that that’s one of the ways that I knew I was loved is if I did it by myself and succeeded by myself, but I wasn’t succeeding. This took me to my knees and I was on the path of discovering the wealth code during this time, but once I really let go of the yoga center after trying to selling it and doing several other things and accumulating a lot of debt. I really... I just asked, “Show me. Show me what’s in here” and what I saw was that I was, again, just a little bit out of alignment. So, I’m driving down the road of my life... I’m not in the center, just cruising along. I’m actually over the side in the rough a little bit because we’re never really truly off our paths. So I did the spiritual work I needed to do. I took a really hard look at myself and what I believed and what I was living in alignment with. I did the work to clear the beliefs that were keeping me from being in alignment and I want to say that’s an ongoing process for all of us. The more you expand, the more you step into more of you, you might have to dust out a few corners, but you just welcome that and keep on going. So, as I discovered my wealth code, which is literally the intersection of purpose and prosperity, and from the Vedic Astrology standpoint, it’s where your purpose and prosperity planets come together. This is a Vedic principle- I mean, I learned this from my mentor and it’s written in the text. It’s called Donna Yoga’s, but part of the way I’m wired up is to bring spirituality consciousness down to the practical and make it usable for people, not just keep it up here because then there’s a big gap there. So, the language of this intersection of purpose and prosperity is starting to come through in the language of archetypes that were very particular to this Vedic Astrology system, even though I’ve given them Western- type names. So let me just sum this up by... I discovered that not only did you need to be on purpose, but you really have to be at that complete intersection of “what is my highest value gifts”. That’s the unique thing about where purpose and prosperity intersect in your soul blueprint through the Vedic Astrology system. I started to see if we stepped into- if I stepped into- really using and trusting not just what I’m good at, or what people told me I’m good at, but what pulls me forward, makes my heart sing, what I could geek out all day long on, what I know in my heart that there’s always more of. When I start to dig into it and I don’t know who I will be completely as I step into it, my highest value gifts. So as I did that everything turned around for me and I also didn’t do things alone anymore. I got help and this whole body of work started to download in a way that it was easy for me to give it to other people. And then, after years of teaching this at lots of different levels and working with my clients at a lot of different levels, I was told in October, “Write the book”. “Really?” I said, “I have to sit down and write a book”? Write the book! So I did it because I know better than not to follow that guidance. I wrote the book so that it was easy for anybody picking it up to walk through a process, to walk through a self-discovery, and a way to discover what your own wealth code is because I believe that our soul already is feeling this and already knows and you just need a way to tap into it- even though I could give it to you through your chart. But this is a way anybody could tap into it and I really want this to be in the hands of a lot of people. NL: Right. So what is the wealth code? What does it look like? PG: Yeah, so it’s literally your purpose and your highest value gifts- and that all equals your prosperity. So, what your actual wealth code is... It’s represented by a body of archetypes that all stem from the seven different planets in the two nodes of the moment- I won’t geek out on the astrology. It’s literally like if I was to look at your chart- it’s where I see your planets of purpose, you have three of them, and you have two major planets of acquisition of wealth. Where they intersect they create...That is where you want to put your focus and attention to actually do your purpose, but have it reverberate as wealth. But, wealth in your own terms, which is not just a dollar amount. It’s what really fulfills you. And, that’s why if you will actually do what you feel like you’re not meant to do, what you’re called to do, what you love to do- but more importantly, if you don’t even know what that is, if you’ll explore, you’ll figure out your highest value gifts, the things that only you can do the way you can do them and infuse that into what you’re already doing- or go ahead and create your movement, or your mission in the world, or your business in the world. With that, wealth won’t have any choice but to enter your life from every avenue that makes sense to you. NL: Right. So it sounds like your definition of wealth is like my definition of abundance because abundance comes in so many different forms. It comes as love, it comes as friendship, it comes as wealth, it comes as new resources and everything that you need to be able to create the life that you envision for yourself. So, you were talking earlier about how your wealth code is here and you were driving over here. So what were the things that had you out of alignment with being in your wealth code? PG: So, one was being the shadow side of one of my archetypes that made me feel like I had to- it was actually my leadership archetype- that I had to it all by myself, that I couldn’t have help. Okay, so that was one part of the shadow. Another part, and this is really important for all of you watching in, is that I was doing a good percentage, about thirty percent of my energy in my business, was focused on doing something I’m really good at, but isn’t really my highest value gift. So I was teaching and training and doing my intuitive work. I was doing that, but what was drawing away from that, or me stepping fully into that, was I was also doing all the administration in my business. Now, I’m a good business consultant. I help other people build businesses, but I don’t need to do all of that administrative... I should have had a team doing those things, so even though I’m good at it, it zapped my energy. Also, what you’re good at a lot of times is what people have told you you’re good at, or what you have gotten either paid for or rewarded for, but it may not make your heart sing- and it’s not necessarily what you’re spectacular at. So I was wasting precious life force energy, currency, on what I was good at as opposed to what I’m amazing at. NL: Right. So, with the book, I’m assuming that you’re using a lot of real life stories. I know that you’ve been working with people. Is there something that you can share with us of someone that’s worked with you that’s gotten some incredible results? PG: Yeah. So one of my.... Lots of them, So, I’ll talk about Tanya for a moment. She was a divorce attorney to begin with and when I met Tanya she had started of life coaching business. When I met her she was a little bit, I want to say, spread really wide and all over the map a little bit. Because some people want relationships, some people wanted health. She’s a really competent person and she can really coach on a lot of levels, but what she got from our work together was really opening up actually to some of the feminine a part of her wealth code that she wasn’t as tapped into. She discovered she’s an incredible intuitive, she really works with - she is an alpha woman coach. That’s what she’s come to define herself through our process and our work together- and using one of her archetypes is the honorable warrior. Now, her honorable warrior was in the shadow side of rescuing people and she was doing a lot of that rescuing. So, she was getting people she had to kind of chase after, or she had to give more than they did in return and didn’t necessarily pay her. So as she stepped into her honorable warrior, but also stepped into her connector, as well, together there’s an amazing sort of team she has going on. She could come in and help really strong, successful women that are really suffering not having love in their life, not being successful in the world of business, but not being successful necessarily in their relationship world either. So she’s flipped her whole business around, she knows exactly what she’s doing, she has got the clientele she’s wants. This year she’s actually just posted in our group. She is going to be out of debt by the end of the year, her savings will be back where she wants it to be, and she’s got two programs running and a private program. So, she couldn’t be happier. PG: No, not at all just for women. Actually, another one of my clients I’ll tell you about- he’s actually an accountant. Will is an accountant, but he’s also a musician. So when he came to work with me about a year ago, he wanted to get his music out in the world. He’s a singer-songwriter but he couldn’t actually get himself to fully do it. Number one, he was writing some songs and he works for a Video company. He’s a total accountant geek, but that’s part- he has an administrator in his wealth code. So that’s part of it, but he’s also got this great connector in this artist type of an archetype. Doing some clearing for him, which he really needed to do to be able to stand in his power and own his purpose, he has a very unique message in his music. He definitely stands for the causes that he does and for liberation and freedom for all of us. That voice started to come through his music and really come through. So now he’s putting his music out. It will probably- he’s finished the three, I guess it’s an EP. I guess it’s called an EP, but he works for a video company, so they’re doing music videos for it right now, as well. So he’s standing out in the world. Before he was like, “Can I even really do this?” Now he’s got just a whole bigger vision for himself. He’s also student to a leadership position in his company that he works for. He wasn’t sure if he wanted to stay there, but he realized he’s a kingpin of somebody who’s got the business side of that company handle. He’s such a great connector that he’s the one who can bring them together, so that business can go the next level. So he’s using it on both sides of his life. NL: Well the books sounds incredible and has very practical things in there for people to apply which is what I love. Yes. So, if people wanted to connect with you Prema and either through your website or get their hands on the book where can we send them to do that. PG: So send them to sacredwealthcode.com. Sacredwealthcode.com. You can grab the book there. You can get it on Amazon, too. I have different programs there. There’s a free quiz you can take to find out one of your archetypes- you can do that, as well.And, I’ve got lots of other great goodies there for you, but if you go to sacredwealthcode.com you can grab that. NL: Perfect. Prema, thank you so much for joining me today. I think this is a very timely message and I encourage everyone to reach and get your hands on this book I think it’s incredible. PG: Thank you. Pleasure to be here. NL: Yeah. So guys, thank you for joining us today. 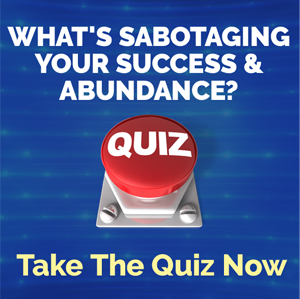 Don’t forget that if you are watching this on Facebook live, or on our YouTube channel, make sure you click on the link after the show’s over so you can take our quiz to figure out what’s holding you back from success. Click on the link, or the banner here, to go straight through to Prema’s website. If you’re watching this through MindMovies.com just leave your email so we can send you the Manifesting with the Masters video e-course for free. So until next time... Remember to live large, choose courageously and love without limits. We’ll see you soon.